Inform HMI that any data persistence operations have been completed. 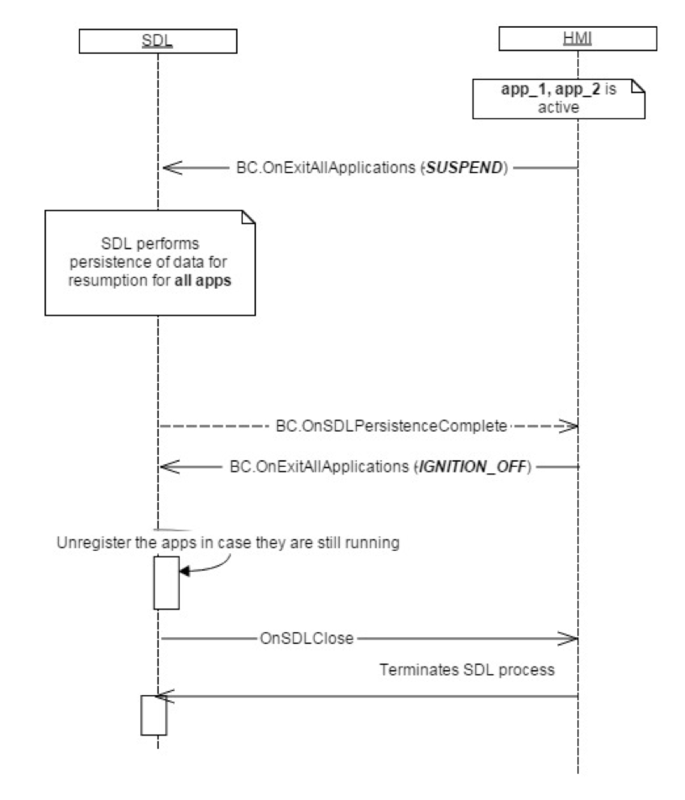 SDL sends OnSDLPersistenceComplete when all data persistence operations are complete. The data made persistent is used for future resumption scenarios. Send OnExitAllApplications(SUSPEND) to initiate the data persistence process for registered apps. Wait for OnSDLPersistenceComplete before sending OnExitAllApplications(IGNITION_OFF).